Signs of the Times Publishing Association (STPA) was established by Dr. Miller, an American pastor of Seventh-Day Adventist in Henan, China in 1905. 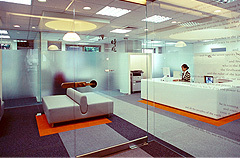 STPA was moved to Taipei, Taiwan in 1963. It provides in Hong Kong, Macao, and Taiwan and foreign Chinese communities with contemporary Chinese books of truth. Our mission is to join in “caroling, passing safety, delivering good news, and spreading salvation” through literary publications. In the last century, we keep sharing Good News from God with countless readers, and enhance the health of our body, mind, and spirit, and improve the happiness and peace of families. In recent years, Signs of the Times Publishing Association breaks the traditional thoughts, keeps the concept of connection with the society, starts the business wholeheartedly, and enhances the quality and quantity of publications, so STPA is highly commended by church members. 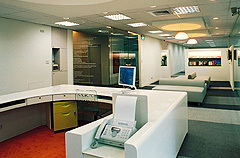 Also STPA’s books enter 500 commercial chain bookstores in Taiwan in 2007. It was the first record among 50 SDA Publishing Houses in the world. Besides increasing the chances for public readers to approach books published by STPA, it also enhance s the independent ability of STPA. Besides publishing books for spiritual health and encouragement, STPA enhances the quality and quantity of various publications. STPA will publish the abridged edition of Ellen Gould White’s works in 2008 in attend that more church members and masses in the society can be spiritually inspired. The multiple healthy publications of STPA are reported and recommended by Taiwanese press, moreover, STPA’s “Bedtimes Stores Series” are indicated by Hong Kong Government to be the collection of all public libraries in Hong Kong in 2008. The STPA is the only official Chinese publishing association of the SDA church in the world. In breaking through all kinds of difficulties, the STPA office in Wuhan received the approval from Beijin to set up there, and obtained a registered trademark in 2010. After 60 years, the STPA had officially returned to China. “Signs of the Times Family and Health” Monthly is the earliest Christian journal published in China. It is also the Christian monthly journal with the most substantial subscription in Taiwan. The contents include faithful life, family education, healthy diet, environmental protection, and leisure activities. It provides readers with the supplying platform of abundant spiritual knowledge. The news and contents touch readers’ hearts, and representatives of the journal are invited by Taipei Broadcasting Station, Police Broadcasting Service, and Good News Broadcasting Association for interview and introduction. Signs of the Times Publishing Association will keep the attitude of innovation and union, provide service for the large Chinese community in the world, and actively expand to the global copyright market .. We hope all Chinese people receive God’s glory . Copyright © 2015 Signs of the Times. ALL rights reserved.